Futura Round is a geometric round typeface created by Paul Renner and published by URW++ that is available in 14 styles. 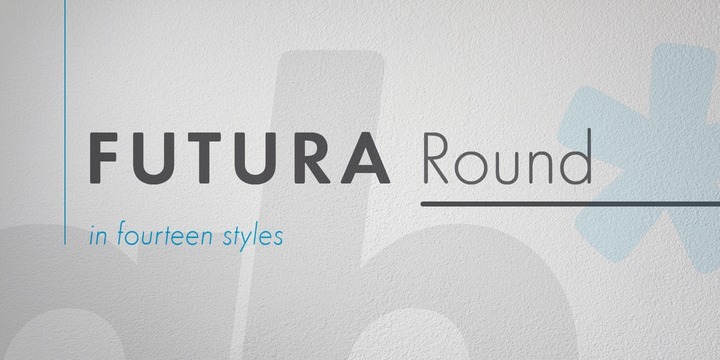 “Futura Round” is a trademark of URW++. A font description published on Monday, November 18th, 2013 in Fonts, URW++ by Alexandra that has 4,715 views.